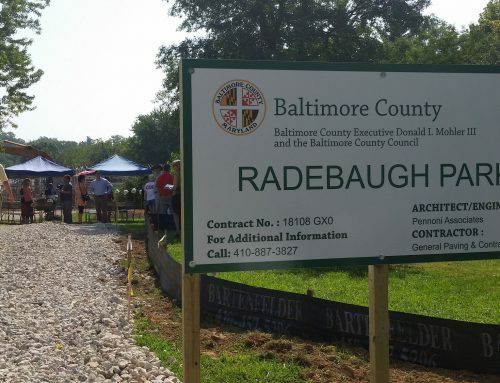 Two state legislators are filing bond bills to help Baltimore County buy property owned by Radebaugh Florist & Greenhouses, in Towson, for use as a county park. Meanwhile, community leaders and environmental activists are stepping up pressure on the county to acquire the land, including testifying and holding signs of support at a County Council meeting on Monday night. State Sen. James Brochin said last week he filed a bill in the General Assembly seeking up to $200,000 “at the request of the community,” and that the legislation would require matching funds from the county or the community. Brochin’s bill authorizes a state loan called the Radebaugh Park Loan of 2016, and the issuance and sale of bonds. Brochin’s bill stipulates that the money would be used as a grant to the county executive’s office and the County Council. 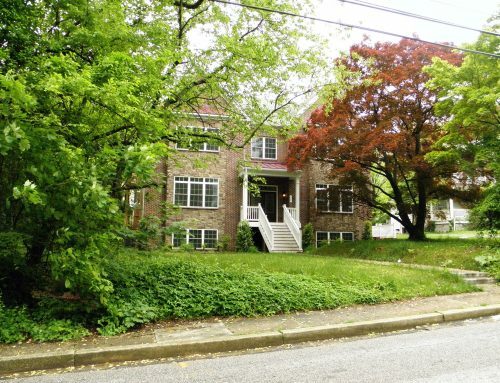 Turning the site into open space is important in “land-locked” Towson because, “To have another park and another place for parents to play with their kids doesn’t come up every day,” he said. Del. Steve Lafferty said Monday he has requested that a similar bill be crossed-filed in the House of Delegates.